An in-depth article on how UBC is responding to a complex and changing copyright environment appears in the Ubyssey, UBC’s student newspaper. The article features UBC Library’s Allan Bell and Joy Kirchner, along with other UBC representatives including David Farrar, VP Academic and Hubert Lai, University Counsel. 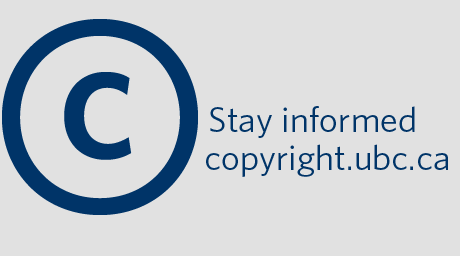 Read The great copyright battle: UBC’s controversial stand against Access Copyright in The Ubyssey (March 20, 2013). In this presentation, Dr. William Wong discusses how principles from Cognitive Systems Engineering, CSE, might be used to design Visual Analytics systems to support intelligence analysts. In designing systems to control processes such as nuclear power generation, CSE has been used to determine and model a priori the functional relationships that relate the performance of the processes with system outcomes. Visual forms are then created to represent these invariant relationships in ecological interface designs. Can cognitive systems engineering be applied to the domain of intelligence analysis? And if yes, how might this be? And how should CSE principles be applied to the design of visual representations in intelligence analysis to take advantage of the benefits we have seen when CSE is applied to causal systems? William Wong is Professor of Human-Computer Interaction and Head of the Interaction Design Centre at Middlesex University’s School of Science and Technology in London, UK. His research interests are in Cognitive engineering, naturalistic decision making, and representation design, in complex dynamic environments; Cognitive task analysis methods; HCI and multimedia in learning, in virtual environments, and museums; Usability engineering and interaction design. This New York Times -Technology- article written by Matt Richtel examines the advantages and disadvantages of the bring your own technology (BYOT) movement in many school districts. The Vancouver School District began a bring your own device (BYOD) pilot-project in secondary schools in the fall of 2012. A Masters of Science student in Geophysics is the 2013 recipient of UBC Library’s Innovative Dissemination of Research Award. This award honours UBC faculty, staff and students who expand the boundaries of research through the creative use of new tools and technologies. Rowan B. Cockett’s submission, entitled Visible Geology, came from a desire to improve the way geoscience research is disseminated to undergraduate students. It involves an interactive, web-based application designed to enhance the visualization of geologic structures and processes through the use of interactive 3D diagrams. The program allows users to conceptualize difficult yet important geologic principles by creating and interacting with geologic block models. The visualization software is mainly used to assist with paper-based activities such as geologic mapping. These traditional assignments often put students who do not have practice with 3D visualization and spatial manipulation at a disadvantage. Visible Geology allows students to practice their visualization skills and create their own models and terrains, an interactive and immersive experience that employs video, animation and images. Visible Geology has been praised by the geography community. Since November 2011, thousands of unique visitors have created their own geologic block models using Visible Geology, which is also used for introductory and structural geology classes. At an international geosciences conference in July 2012 in Knoxville, Tennessee, Cockett won an outstanding student award for geoscience education. Cockett was formally recognized at a UBC research awards reception on March 25, 2013. 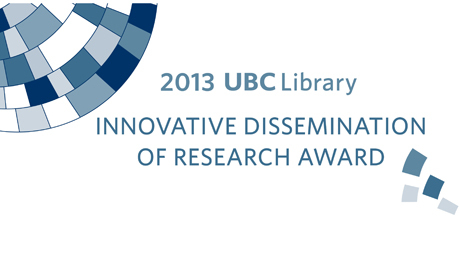 For more information on the award, please visit Scholarly Communications @ UBC.